Gain the title of Thane of the Pale. 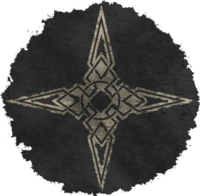 This is a radiant quest which you can receive from either Skald or Brina Merilis, whichever is the Jarl of the Pale. The Jarl lives in The White Hall in Dawnstar. Befriend the Jarl of the Pale. Assist the people of the hold (three actions required). This is an umbrella quest for several other quests that must be completed if you wish to become Thane of the Pale. In order to receive this quest you must first aid the current jarl. If Brina is Jarl of the Pale (whether she was installed via Reunification of Skyrim or Season Unending), then she is automatically friendly to you. If Skald is Jarl of the Pale, then normally, you must first complete Waking Nightmare and then Kill the Giant in order to befriend him. If Brina was installed as jarl in Season Unending, and then you reinstate Skald via Liberation of Skyrim that will also befriend him. Once you have completed the prerequisite, speak with the jarl again and he or she will ask you to aid the people of the hold. In order to assist the people of the hold, you must befriend three people who are citizens of the Pale. Usually you do this by completing favor quests on their behalf. All of the favor quests in the Pale are for people in Dawnstar, except for Aeri, who lives at Anga's Mill. Note that you can also befriend merchants if you have the Investor perk by investing in their stores. †Only the first quest completed will count towards Thaneship. After helping three inhabitants, the journal tells you to return to the jarl. The Blade of the Pale is awarded along with the title. The Blade of the Pale is a randomly-leveled and randomly-enchanted sword. There is a 50% chance that it will be a sword, and a 50% chance it will be a greatsword. If you have Hearthfire installed, then Gregor will also be assigned to you as a housecarl. The kill a giant quest has a minimum level of 22. If you are not level 22 yet, then you cannot receive this quest from Skald. If Brina is jarl (or Skald has been removed from power and then reinstated), this quest is not required to become Thane. The kill a giant quest requires a giant to kill. If you have cleared all of the giants from all of the giant camps, then you cannot receive this quest from Skald. To solve this issue, wait or sleep indoors for 30 days and all giant camps will have been respawned. It is possible to become Thane of the Pale and receive leveled Blade of Pale twice - from Skald and then from Brina. On the PC, it is possible to use the console to advance through the quest by entering setstage Favor256 stage, where stage is the number of the stage you wish to complete. It is not possible to un-complete (i.e. go back) quest stages, but it is possible to clear all stages of the quest using resetquest Favor256. This page was last modified on 24 January 2017, at 06:50.